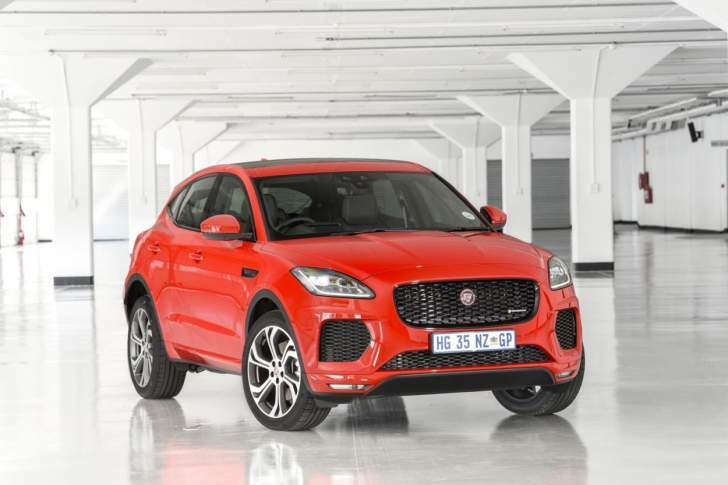 South Africa - The Jaguar E-PACE is a five-seat compact SUV that packs the design and performance of a Jaguar sports car into a spacious, practical and connected all-wheel-drive vehicle. 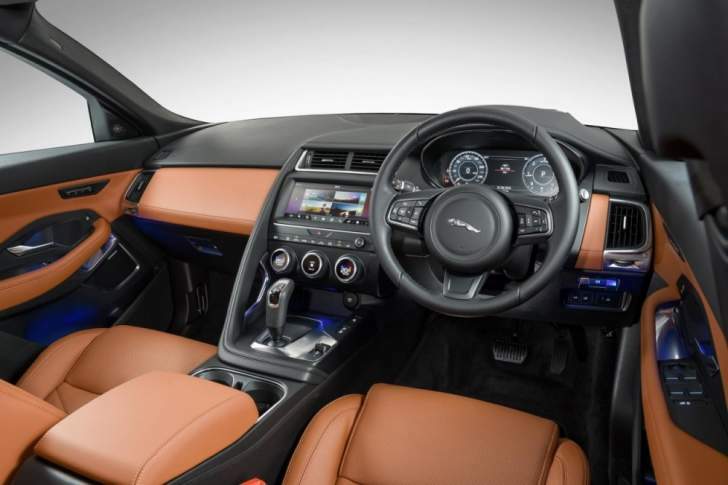 Trademark Jaguar driving characteristics and stirring design put the brand's sports car DNA in a practical design packed with advanced technologies. 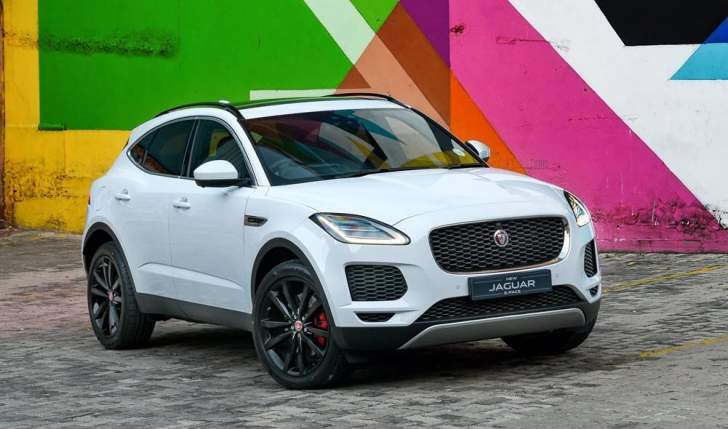 The E-PACE, the newest member of Jaguar's SUV family following the F-PACE performance SUV and I-PACE Concept all-electric SUV, takes design inspiration from the F-TYPE sports car. 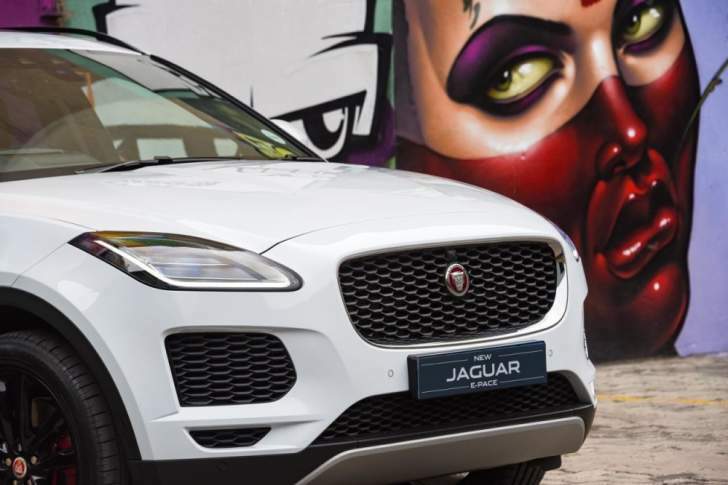 The exterior design is characterised by the distinctive Jaguar grille, muscular proportions, short overhangs and powerful haunches while optional 21-inch alloy wheels give the E-PACE a bold and purposeful stance, instantly communicating dynamic agility. Jaguar sports car DNA is also evident in the fast sweep of the roofline and the distinctive side window graphic. "Demand for SUVs and Crossovers is growing, particularly in China, with the market predicted to increase globally by 23% by 2020. 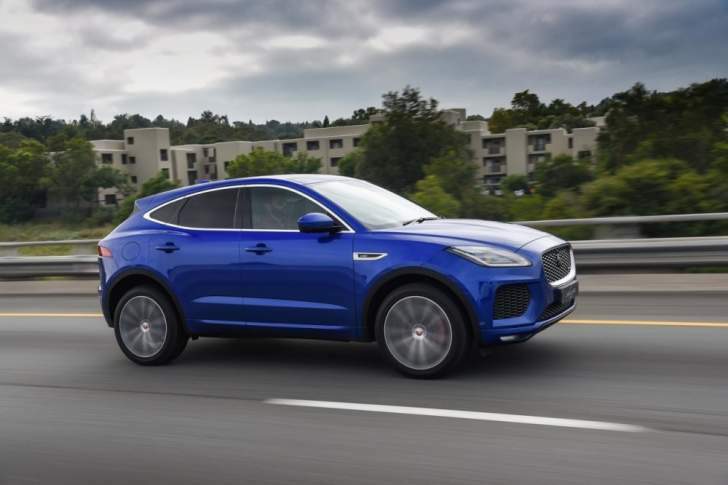 Jaguar is at the forefront of this demand with our expanding PACE family of SUVs. We are attracting incremental customers – typically couples and young families – who are used to being connected and want practicality and stand-out design. E-PACE delivers on all three counts." Digital connectivity can be found throughout the cabin, ready for every need of the modern family. There are up to four 12-volt charging points and five USB connections. The E-PACE has exceptional interior space. The compact SUV is 4,395mm long with short front and rear overhangs of 882mm and 832mm respectively. Its 2,681mm wheelbase seats five in absolute comfort and yields a generous rear legroom of 892mm while the large luggage capacity of 577 litres is made possible by the vehicle's sophisticated Integral Link rear suspension architecture. Under the bonnet, E-PACE is endowed with a range of powerful and efficient Ingenium petrol and diesel engines. The 221kW Ingenium petrol turbo engine powers E-PACE from 0-100km/h in just 6.4 seconds, before reaching an electronically-limited top speed of 243km/h. E-PACE doesn't sacrifice performance for efficiency – customers can opt for the 110kW Ingenium diesel engine, which returns economy of just 5.6 litres per 100km. 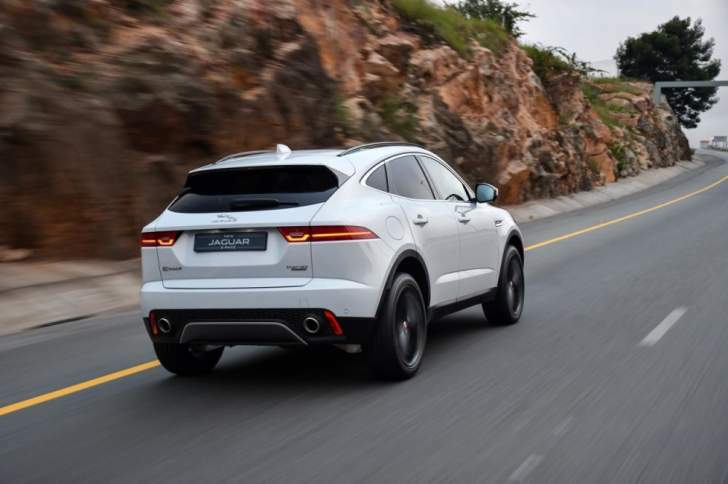 Every E-PACE is equipped with all-wheel drive and a nine-speed automatic transmission, and high-output models are also available with Active Driveline – a technological first for Jaguar. 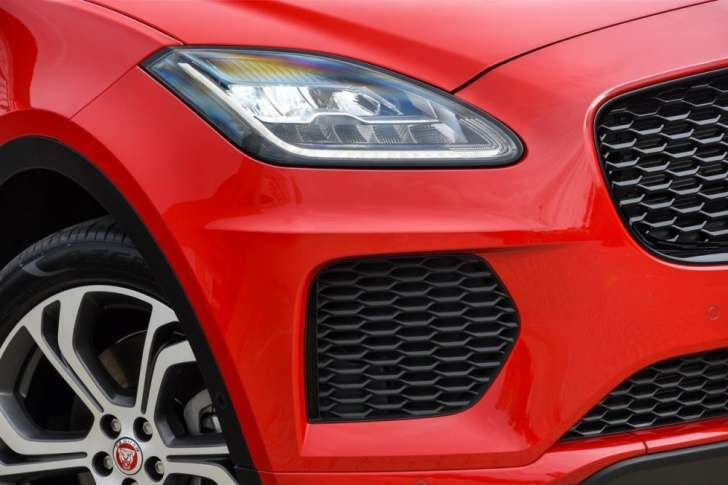 This intelligent set-up combines phenomenal traction with Jaguar's unmistakable rear-wheel-drive character. The system's torque-biasing capability delivers optimal stability, dynamics and fuel efficiency in all conditions. New chassis hardware, including the Integral Link rear suspension layout, has allowed Jaguar's engineers to maximise interior space and deliver the responsiveness and agility required without compromising ride comfort. Every E-PACE features the latest generation of Jaguar's Touch Pro infotainment system as standard. Natural voice control technology, a 10-inch touchscreen interface and a customisable home screen make interactions with the system quick, simple and highly intuitive. An optional 12.3-inch full colour digital TFT instrument panel and choice of two premium audio systems developed with Meridian put the E-PACE on a par with vehicles from the class above when it comes to interior technology. Also available is a next-generation Thin-Film Transistor (TFT) Head-Up Display technology. The E-PACE is also the only vehicle in its segment available with an innovative wearable Activity Key, allowing the driver to lock the main key inside the vehicle when enjoying outdoor pursuits such as running or cycling. Standard specification on each E-PACE includes the Touch Pro infotainment system, LED headlights and a rear-view camera system, as well as advanced driver assistance systems including Cruise Control and Speed Limiter, and Front and Rear Parking Aid.